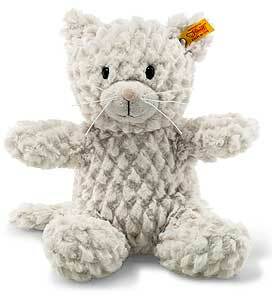 Whiskers Cat is from the new Steiff Cuddly Friends collection and made in beautiful light grey cuddly soft plush. This wonderful Steiff item, is a yellow tag edition and wears the famous stainless steel button in ear. 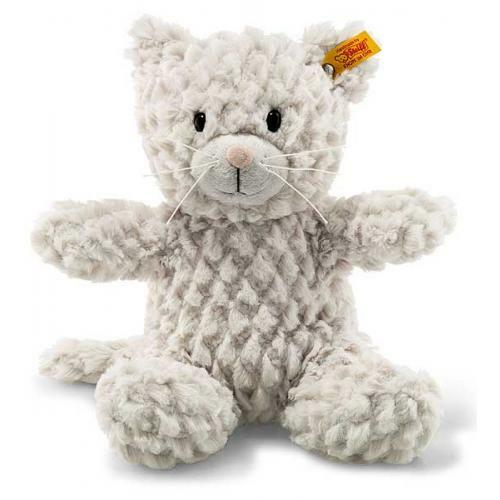 Product details: CE marked, non jointed, made in cuddly soft plush with synthetic filling material, safety eyes, size 28cm. Product number 099281. machine washable.